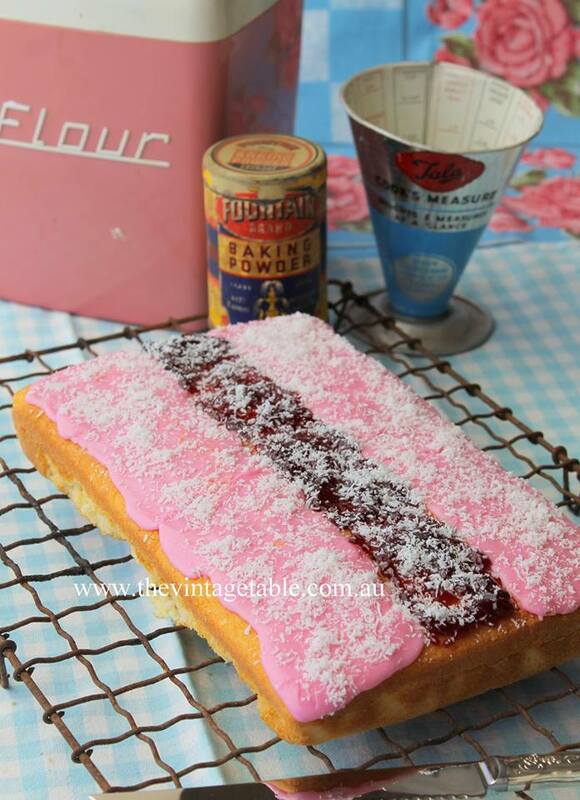 Arnott’s iconic Iced VoVo Biscuits have been an Australian favorite since 1906. 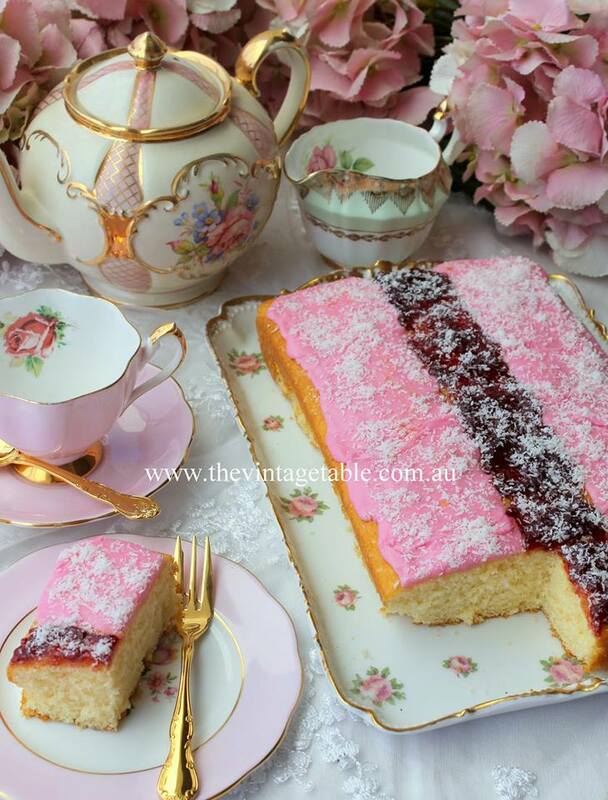 This cake celebrates a favorite treat and is perfect for an Australia Day tea party or to dress up a simple butter cake. We used a 27cm by 17cm cake tin to imitate the shape of the biscuit. Butter, flour and line tin with baking paper. Cream butter, sugar and vanilla. Add eggs one at a time, beating well after each addition. Add flour alternately with the milk, beginning and ending with flour. Beat one minute with an electric mixer. Spread batter in prepared tin and cook in a moderate oven, 185 celsius or 160 fan forced for approximately 30-35 minutes (time will vary if using a different tin). 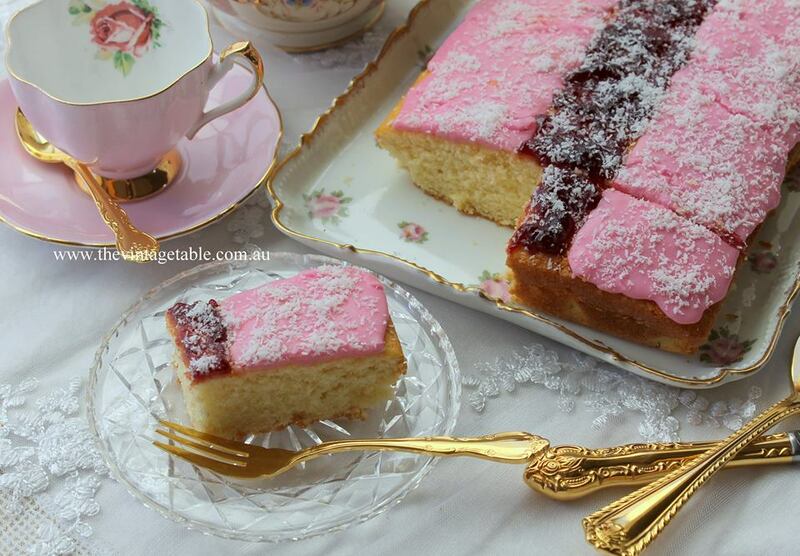 Test by inserting a skewer in the centre, if it comes out clean, the cake is cooked. Stand the tin on a cake cooler for 5-10 minutes before turning out. Allow to completely cool before icing. Beat together butter and icing sugar, add a few drops of milk as required to achieve a spreadable but not stiff consistency. If mixture is too runny, add extra icing sugar. Add a drop of food coloring, very sparingly, as too many drops will easily turn the icing bright crimson. Mix coloring through until it is pale pink. Measure the top of the cake into three sections, two wide outside stripes and a narrow stripe in the centre. Use a ruler and skewer or sharp knife to lightly mark the lines. Ice the two larger stripes with the pink icing, keeping in the lines and carefully spoon raspberry jam down the centre and spread with a knife. Sprinkle desiccated coconut over the entire cake to finish.